Asmahan was a singer, and later an actress in 1940’s Egypt. Although she was of Syrian descent (which caused many complications in her life) she spent much of her adult life in Cairo, which at the time was one of the major entertainment and movie-making centers of the Arabic-speaking world. She was a rising star, her singing widely admired. 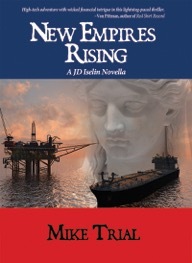 In my book New Empires Rising, one character is a great fan of Asmahan’s music. Then, in the midst of filming her second movie, Passion and Revenge, she died one night in a car accident. She was only thirty-one years old. The circumstances of her death remain mysterious. Some believe she was murdered—it was 1944, wartime, and both the Germans and the British did not trust her, believing she was spying for one side or the other. Her conservative family in Syria did not like the fact that she remained in Egypt and continued to sing in nightclubs and act in movies, activities not suitable for a woman whose family was highly placed in Druze governing circles. Or it could even have been political or business machinations internal to Egypt. No one will ever know. There is an interesting book about Asmahan, written by Sherifa Zuhur, called Asmahan’s Secrets, published originally in 2000 by the Center for Middle Eastern Studies at the University of Texas at Austin, and reissued in 2001 by Saqi Books. 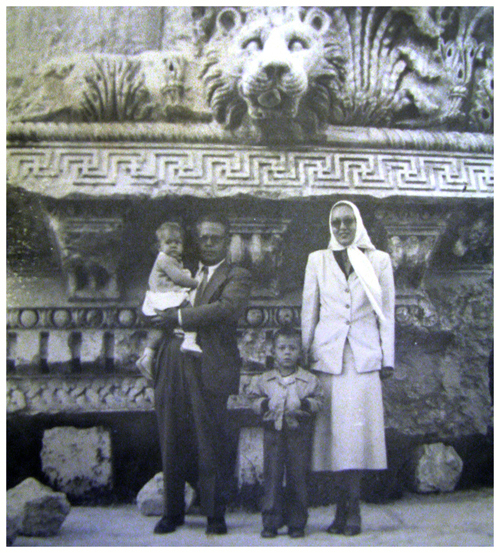 Reading about Asmahan and her world reminded me of when my family lived in Lebanon, not far from Syria, for a year. It was 1956; I was ten years old. Those memories are very fond ones. My best friend at school was a Norwegian boy my own age. My daily school bus ride took me down the winding backstreets of Sidon, giving me a glimpse of the daily life of the Lebanese people. I went to a one-room school with a dozen other children of American and European employees of the oil company my father worked for. I’ve written a story, not yet published, called Valley Springs, in which I describe my transition from a company operated one-room school in Lebanon to a public one-room school in rural Missouri. It was a unique transition, but being ten years old, I took it in stride. In 1956 the Middle East was relatively peaceful. Lebanon is a beautiful country with a history that stretches back past Roman times to the Phoenicians. We lived in a rented villa on the outskirts of the city of Sidon. Our friendly and efficient housemaid, Violet, did all the food shopping, cooking, and housecleaning for us. Our house was a roomy two story concrete building, finished with polished tile. It was cooled in summer by breezes from the Mediterranean. From the many balconies on the second floor, you could look out over the dark green kumquat groves to the mountains in the distance. The beach was a short drive away. Many weekends we would drive two hours up the coast to the cosmopolitan city of Beirut to stroll the shady boulevards, window shop the French fashions in the clothing stores, or browse the bookstores with books in three languages. A favorite stop for my sister and me was a toy shop named Mickey Mouse (how I coveted the British-made toy cars and trucks). We would often have lunch at one of the hotels overlooking the Mediterranean. Sometimes we would go to one of the beaches for swimming or drive up into the foothills to the tree shaded campus of the American University of Beirut. Occasionally on the drive back down the coast road from Beirut to Sidon, we’d stop for tea at a tiny village named Damour. A year later, in Missouri, when my mother would have KFRU radio on and they would play the song “Chanson D’Amour” I would wonder why someone had written a song about that little town perched on the mountainside halfway between Sidon and Beirut. Once we took a drive over the mountains to see the desert ruins of the ancient Roman city of Baalbek. Another time we drove up the coast to the Phoenician city of Tripoli, where we stayed in a hotel with balconies overlooking a narrow pedestrian street crowded with open air coffee shops and restaurants, men playing backgammon, drinking tea, smoking hookahs. We visited several castles from Crusader days, and once drove up into the mountains to see the famous giant cedar trees of Lebanon. One July afternoon we visited a couple my parents had become acquainted with named the Bushakra’s. From the road it was a long hike up a rocky path to their house on a mountaintop, which they had named Eagle’s Eyrie. It had a panoramic view of mountains, olive groves, and in the distance the Mediterranean. While there, Mrs. Bushakra, an American-born woman my mother’s age, signed a copy of a book she’d published in 1951. The inscription reads: To recall our pleasant afternoon together at Eagle’s Eyrie. I still have that book and can faintly remember that pleasant afternoon. Sadly, neither the Lebanon I remember, nor the Syria where Asmahan grew up exists any more. Both countries have been torn apart by decades of war. 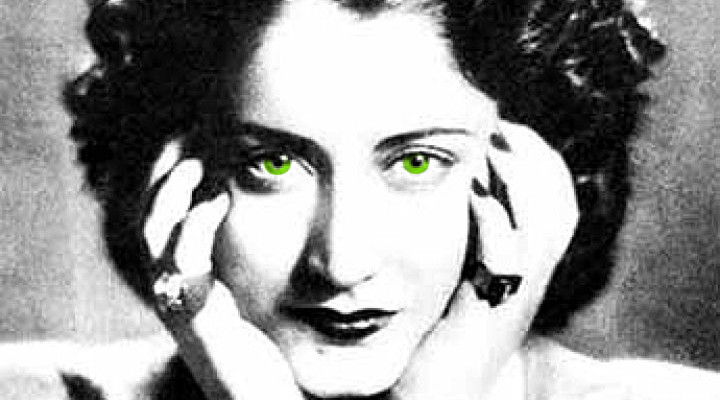 But Asmahan’s music lives on, as do photos of her classic Syrian good looks and hypnotic green eyes. JD Iselin and the mercenaries of his private military company, Iselin Security Options, have been called in to deal with a situation more secret, more dangerous, and more complex than any he has dealt with before. With the world’s oil supply hanging in the balance, every decision JD’s team makes must be the right one.